Coupon Description: Today at More Beer, you can save $8 on a Stainless Steel Home Brewing Immersion Wort Chiller! 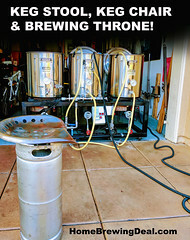 These wort chillers are great for 5 gallon batches of home brew. 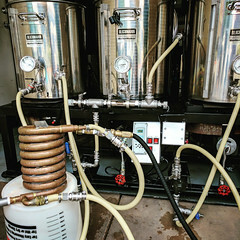 If you are not currently using a chiller to cool down your wort, do you self a favor and pick one up. They both save time and lower the probability of contamination. 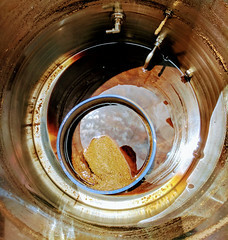 Homebrew Supply Reinheitsgebot Sale Going On Now! 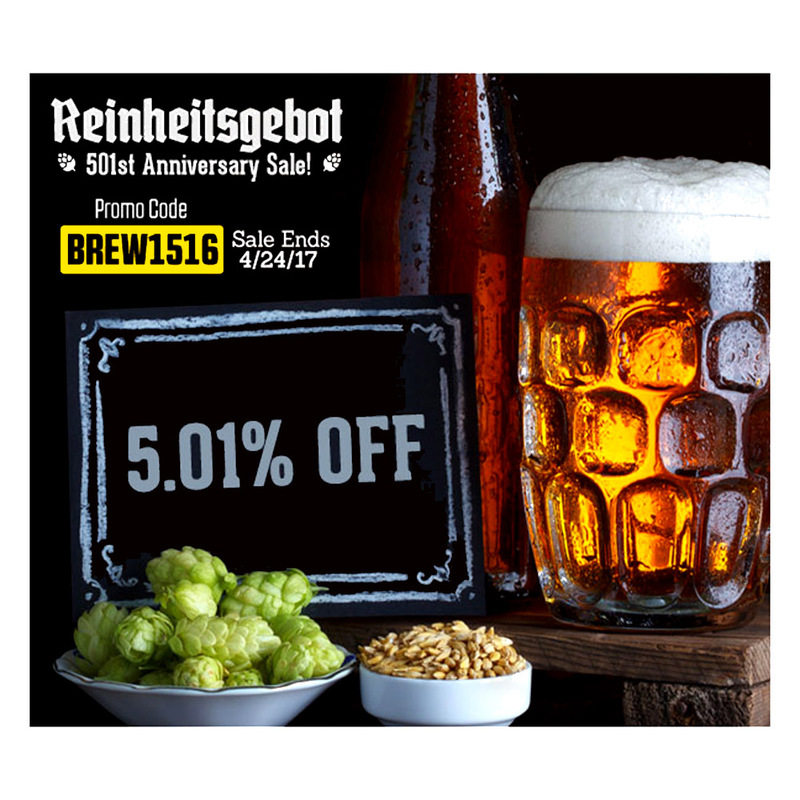 Coupon Description: The HomebrewSupply.com Reinheitsgebot Sale is going on now! 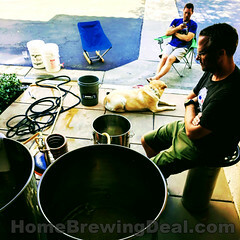 Stock up and save on traditional German home brewing ingredients at Homebrew Supply. From now until April 24th, you will save 5% on any hop, grain or yeast purchase. Coupon Description: This Homebrew Supply Promo Code will save you 15% on their entire hop selection! It is only good for 4-20, so make sure you act fast if you need them! New MoreBeer.com Promo Code – Save 15% On John Palmer Beer Kits! Coupon Description: More Beer’s deal of the day is on their 2 liter home brewing yeast starter flask. This large 2000 ml Erlenmyer Flask is the ideal container to make a yeast starter for 5 gallon batches of homebrew! This yeast starter flask is made from borosilicate glass, so you are able to move it from a boil on your gas stove into a cold water bath for cooling, without the risk of breaking.